I absolutely should have posted this on Leap Day and as a Motivational Monday, but you know, school is a thing. For some, Leap Day is just another day. For myself it would’ve been just that if I hadn’t tried to draw inspiration from it. This inspiration came from the fact that I treated Leap Day like any other day; nothing special. However I should’ve treated it differently. After all Leap Years only occur every four years and that’s pretty special. Beyond that every day is special. And I haven’t been treating my time as such. As I thought more about this I realized I’m stuck in the middle ground between a rut and where I want to be: that monotonous space where you’re just going through the motions and not really living. Me being me, of course that won’t do. I long to live life to the fullest, so I aim to make changes that will allow me to do so. I aim to take leaps. Whether it’s from your head or your gut, go with that feeling. Often we know what we need before we even really register it- weird, I know. It’s one of those innate primitive responses. Perhaps it’s even something more evolved since conclusions are seemingly drawn from thin air. Say your subconscious is causing that inexplicable feeling that you need to make a change, much like with mine, chances are you do. (I know I do at least.) In reality you know yourself best, so it’s important to listen to that voice and connect to it. In a society that focuses so much on the external, learn to become more cohesive with your inner-self and you’ll discover what you need to do to live life how you desire and be happy. Be decisive rather than passive because every second of every day, life is passing you by. Do or don’t do in efforts to make yourself not only happy, but to grow. By taking chances and trying things you want to do and removing actions that no longer serve a benefit to your quality of life will instantly change how you experience the world for the better. More often than not, it is fear of the unknown that holds us back. With uncharted territory and a hazy horizon, it is hard to put faith in the future and pursue certain paths when they are unclear; especially when risk is involved. However when faced with anything in life, our perception and how we receive what is happening ultimately sways the outcome. Moving forward with curiosity and ideally confidence, as well, can make all of the difference when choosing to step away from the known. While you should listen to that voice in your head, try and mute out the doubt; specifically self doubt. You are your biggest critic and if you can move beyond that, you can conquer anything. You are capable. Taking risks can reap rewards. So put yourself out there and think “here goes nothing.” Of course reckless risks should be avoided, but ones like switching jobs, switching schools, or even starting completely over should be pursued wholeheartedly as long as it will keep you moving forward towards happiness. If you want something enough, you’ll find a way to make it so. Plus, life often has a funny way of working out. So plan and put it all on the line. In that space amazing things will happen. Taking leaps can be scare since, once again, it is a dance with the unknown. However find comfort and confidence in setting goals for yourself and in turn forming a plan. By having a plan that is specific, measurable, attainable, relevant, and timely, before you know it you’ll be taking leaps and bounds further than you could have imagined. Stay tuned for follow up posts! 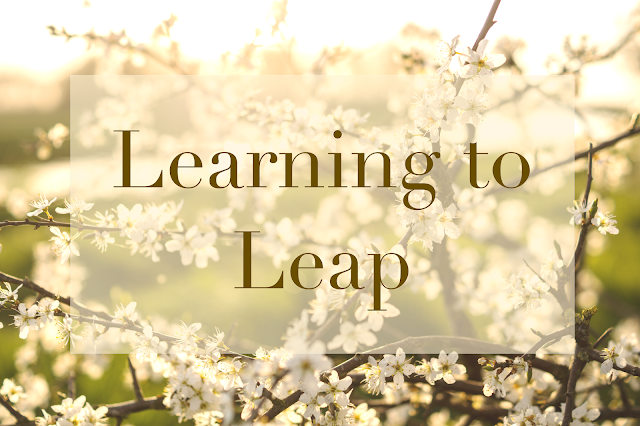 In what ways are you taking leaps? I needed that. Thank you Molly! yes to all of these! saying yes and no more is at the top of my list! This was a really great post! I have been taking way more leaps this past year, it's worth it. I absolutely love this post! As a student as well, I think it's almost normal to get stuck in a rut. But this is the time to chase the things we have always wanted in life. At least, that's how I feel. I love how you talk about trusting yourself more, and learning to take smart risks and make smart changes. I think in the end, it will make you a better person.